Pro fitness tips from PR’s fittest, most inspiring people! A high pressure job needs a healthy body. And if you are finding it tough to leave your cozy bed in cold January for a workout, here are the inspiring stories of PR professionals for whom fitness is a way of life. “Ideally, start early, very early. It will help you to start the day with a fresh mind and your ‘battery’ charged up for the day! To all of you out there contemplating starting your workouts; all I can say is…. 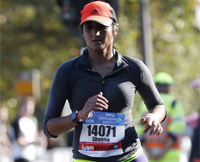 A cancer scare in 2017 is what led Geethanjali to her fitness journey. She explains, “Obesity added to the risk. Fortunately, I had access to experts. My colleague, a genetic counsellor, studied my health history and suggested lifestyle changes. On her recommendation, I went to an oncologist, who helped negate my risk with a preventive surgery. Post-surgery recovery took a while and then I started my fitness journey. I have my colleagues and my health coach who ensure that I don’t give up. 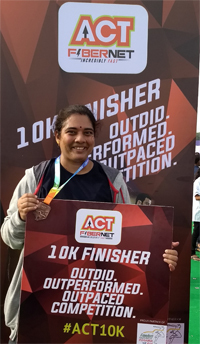 With their support, I could achieve my first milestone: participate in and successfully finish the Freedom Hyderabad 10K Run. Komal Bhardwaj shares openly that she was an emotional eater, "Binge eating was my way out of any tough situation. As a result, I put on weight when I started working in 2014. 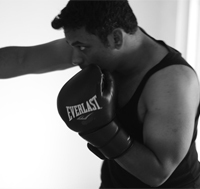 The growing weight and my inability to get rid of my cravings is what hit me one fine day and I enrolled into a gym." “Make it a couple thing. My wife (Bhawna Sharma, she is more active than me by the way and I get up at 5am everyday and by 7am, we are back from the gym. If we can do this, anybody can. 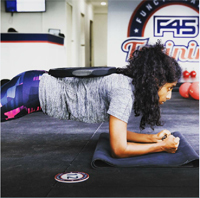 Amrutha considers her daily workout as an important reset for the day! Running, boxing, she has tried a wide range of workouts and has now settled on functional training. 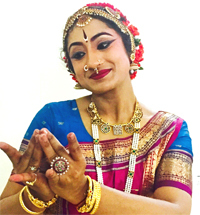 A traveller, dancer, workaholic and mother of two, Gayathri heeded the call of dance once again to restart her fitness journey. 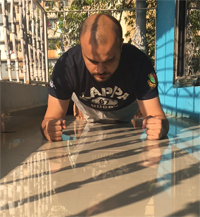 Recently, Shayak felt that he was getting lazy and unhealthy. Feeling that this effected his performance as a team leader, he took up working out seriously. Shayak plans to undertake a Delhi-Kanyakumari motorcycle ride in 2018, almost a 5000 kms circuit. A box of sprouts is always good to have between meals to boost the energy level. One can keep a pack of soya milk in office and have it at regular intervals, rather than consuming coffee-Soya milk comes in a variety of flavours and adds value to our health. Fitness has always been a way of life for Sheena Gandhi. 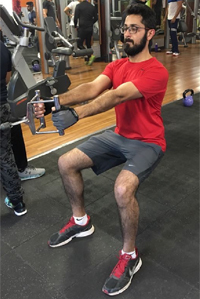 Jigar’s brush with lower back pain was a warning sign to get fit. 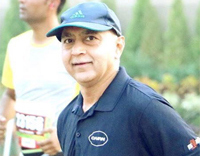 This encouraged him to take up Yoga and running, basically non weight exercises. 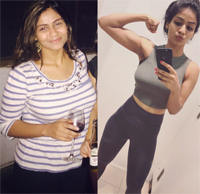 Preeti Binoy shares her fitness motivation, “ For as long as I can remember, I have always been petit. After the birth of my daughter, I stopped caring about my body, and my work schedule really affected my eating habits. Within a few years, I was heading towards obesity. One morning during my maternity leave, I stepped on the scale and saw a number that scared me. Worried about the serious health implications and my spouse who is a Type 1 diabetic I knew I had to do something. Preeti’s healthy meal is pictured right! “ I wanted to get back into swimming but hated the way I looked so I decided to try running instead. 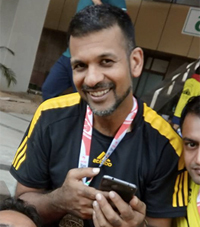 Within a year, I had fallen in love with running and lost the extra kilos. I learned to eat proper portion sizes again and what foods made me feel better. 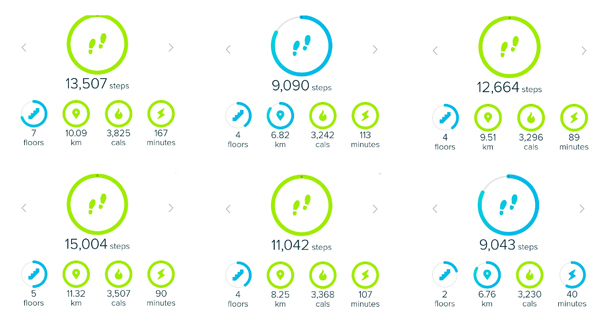 I realised that losing weight won't happen over — night. It takes time and effort. Find an activity or exercise that makes you happy and find ways to add that into your routine. Always choose your health and well-being first." 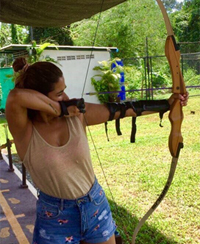 Naina says she thrives on fitness as it makes her confidence and brings out her inner athlete. Pierre a triathlon competitor says, “The main reason I got into fitness is that I had been neglecting my health since college. Poor diet and lifestyle choices began to catch up and I began to feel the effects on my energy and my mental state. 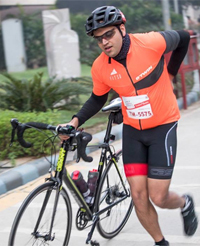 Earlier this year, I took part in a mini triathlon in Goa just to see if I'd survive the short distance. 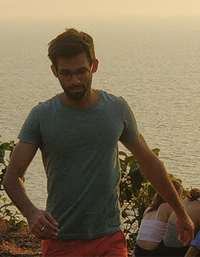 I had a blast going from swim to bike to run (Goa's scenery certainly helped!). Even though everything hurt like hell afterwards, I was hooked to the sport. 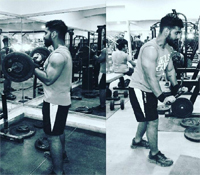 Bala, as his friends call him, took to working out after an accident. He says, “ I had gained weight and was not able to walk properly. I happened to go to a physiotherapist who recommended some exercises and I landed in a gym for that purpose. There I got hooked on to running and getting fit.